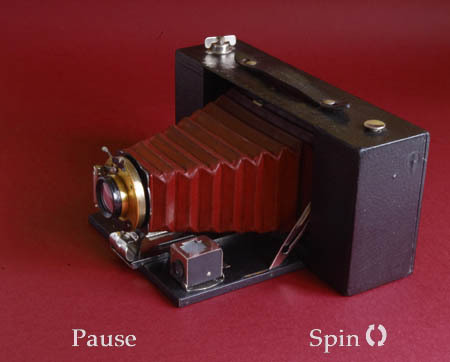 Kodak. 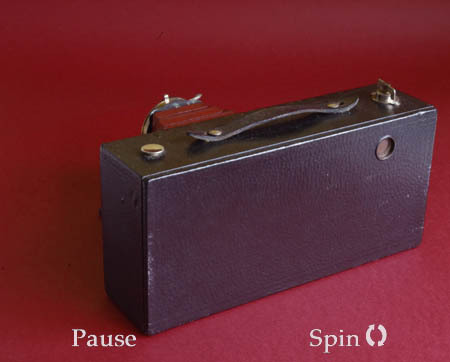 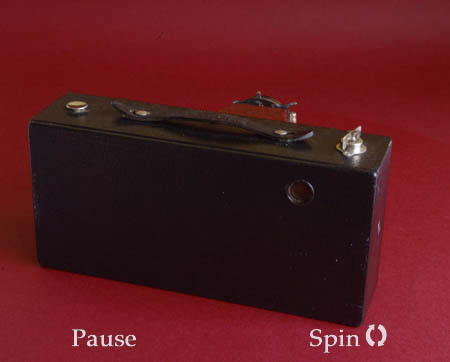 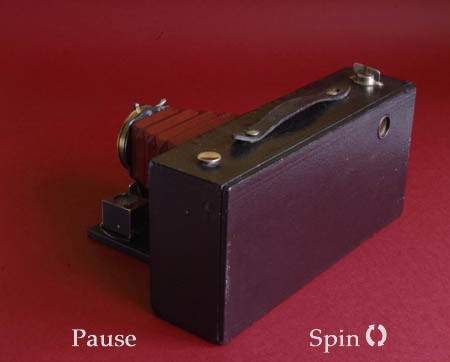 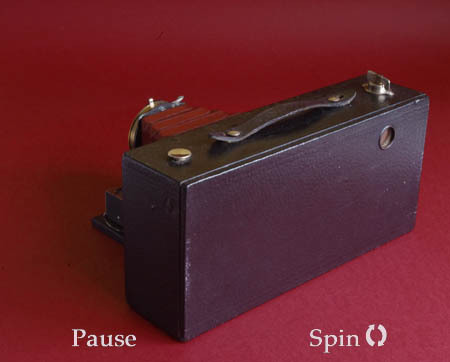 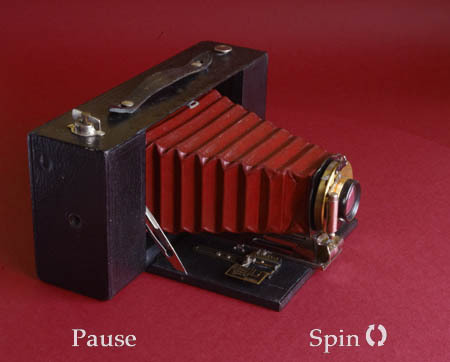 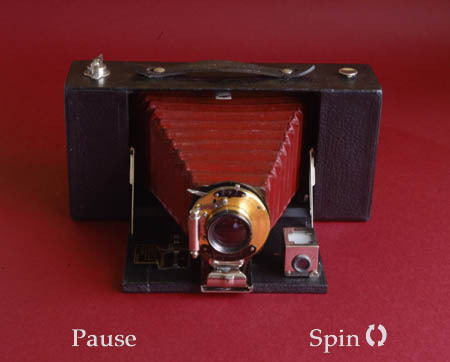 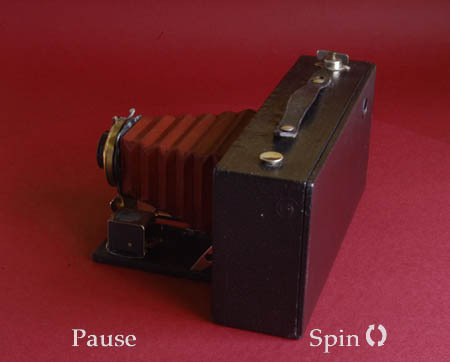 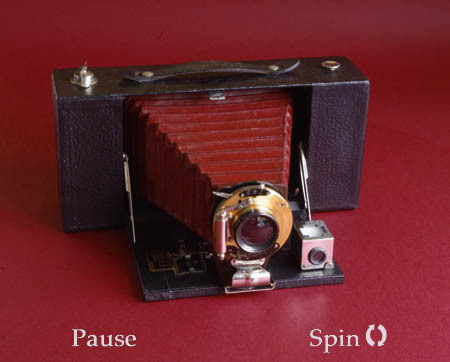 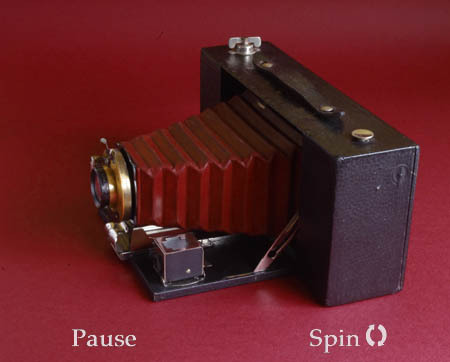 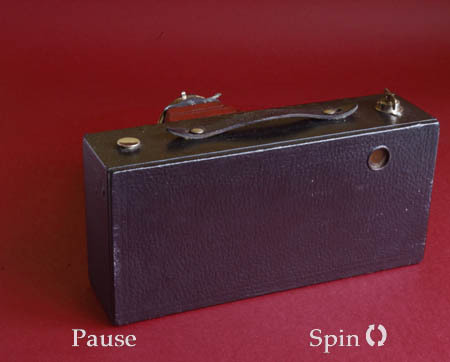 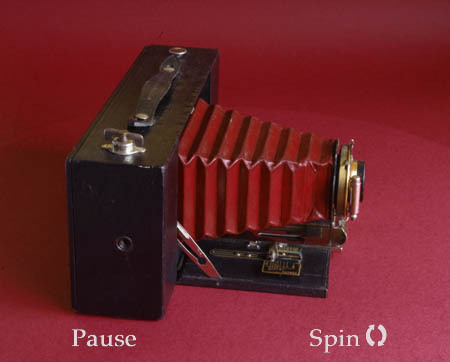 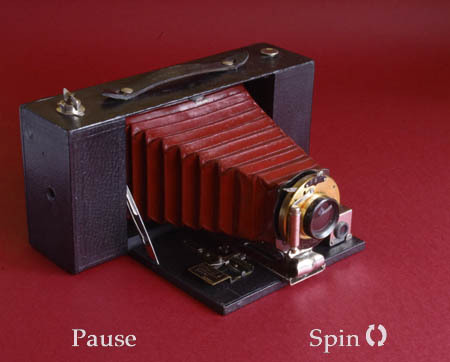 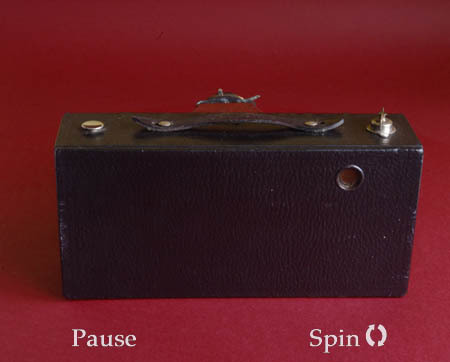 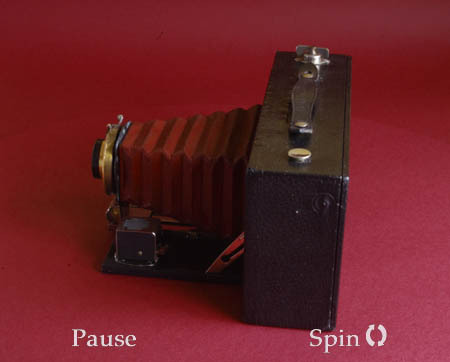 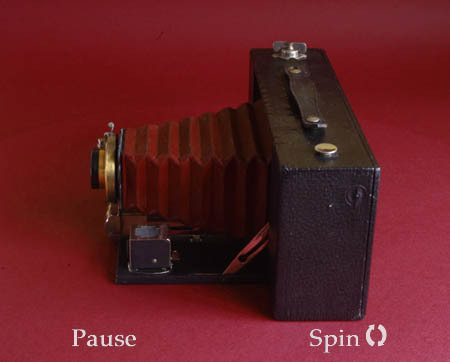 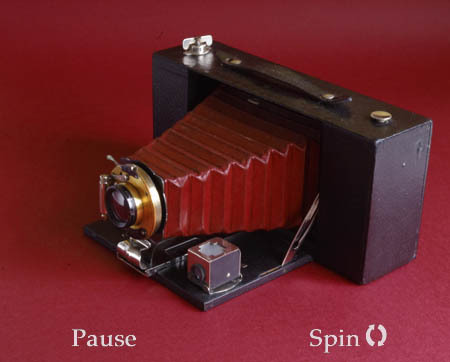 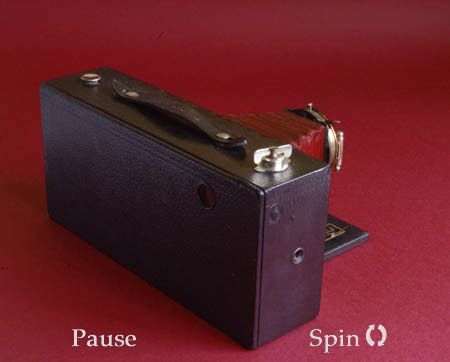 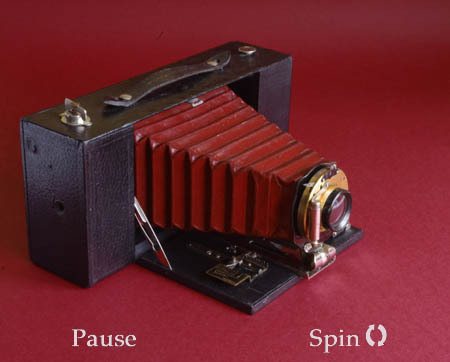 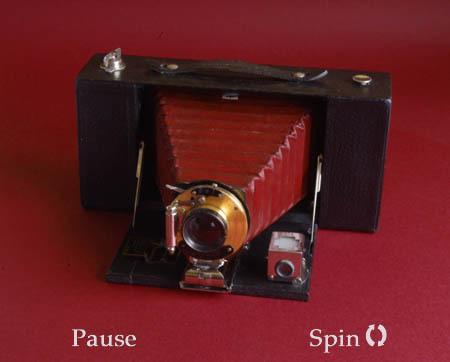 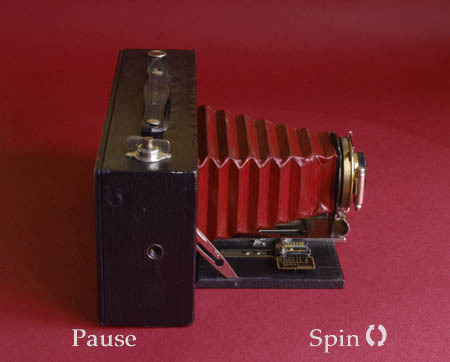 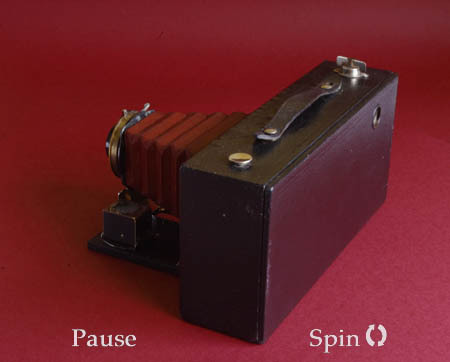 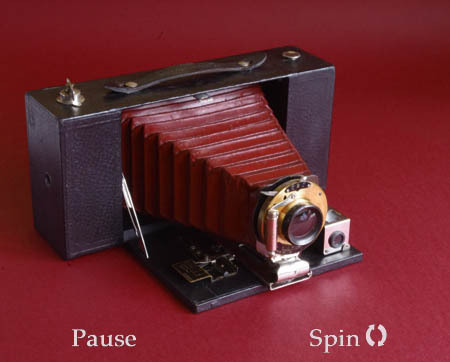 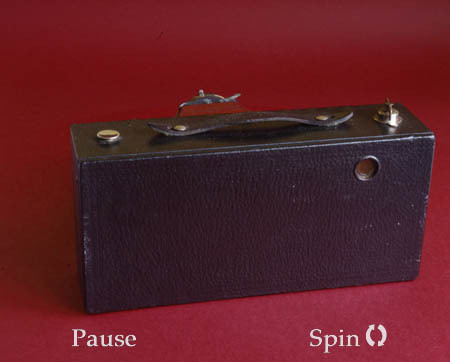 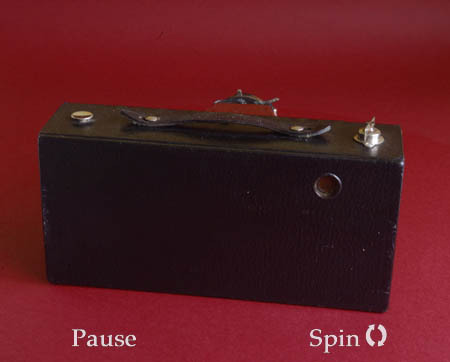 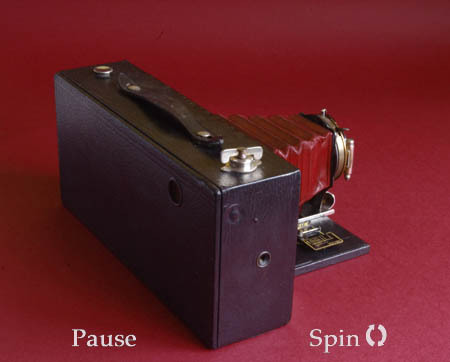 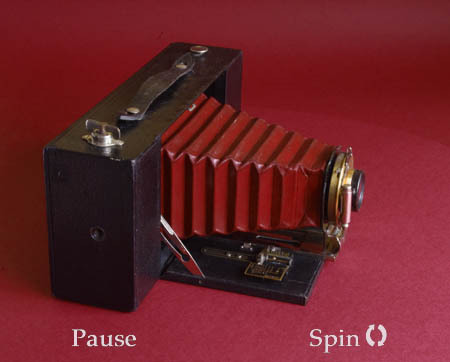 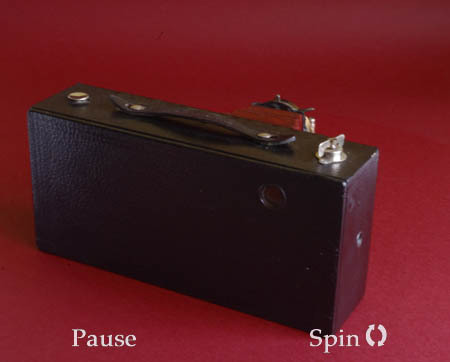 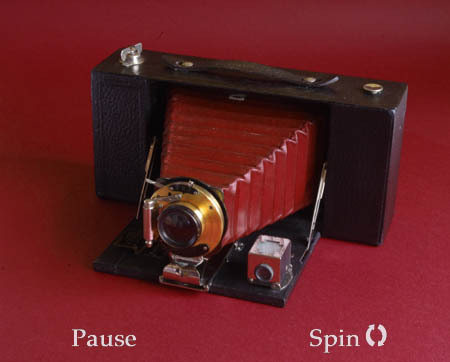 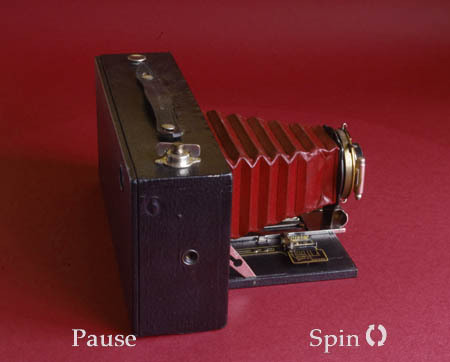 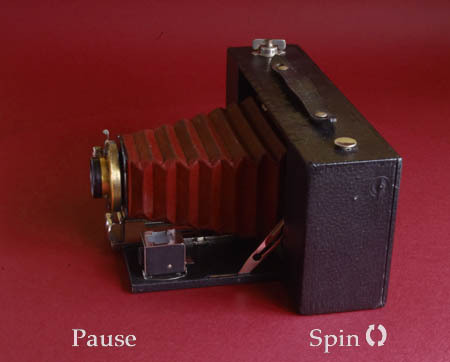 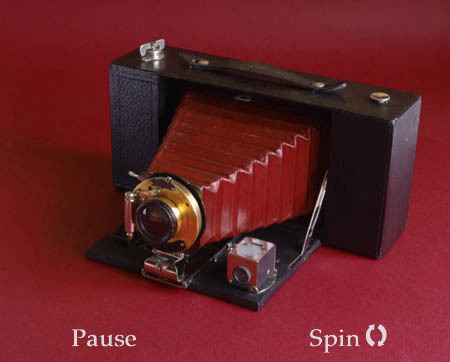 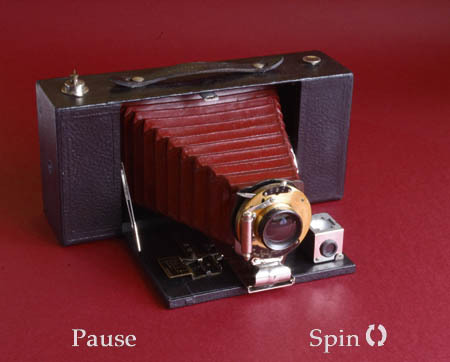 3A Folding Brownie, vintage camera - all round view at 10° intervals. 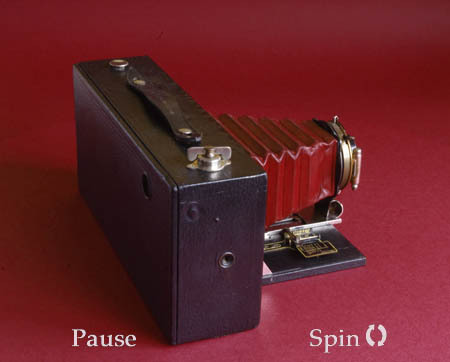 Although fairly common the Postcard Format No.3A Folding Brownie is a good looking camera and worth giving a home to. 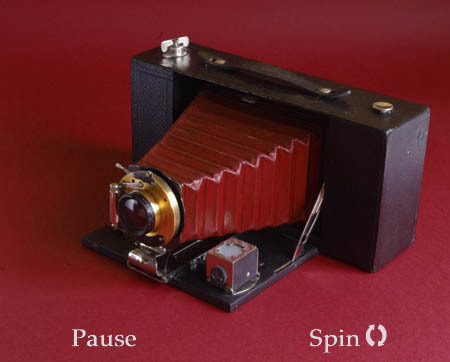 It's a fairly sizeable thing and basic too, as you will see as it rotates in this view. 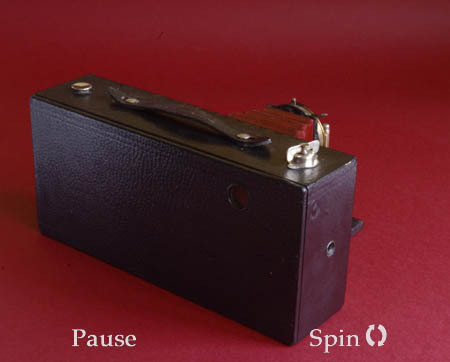 From 1912 kodak switched to their own Ball Bearing Shutter, and UK models changed to black bellows in keeping with the fashion of the time.